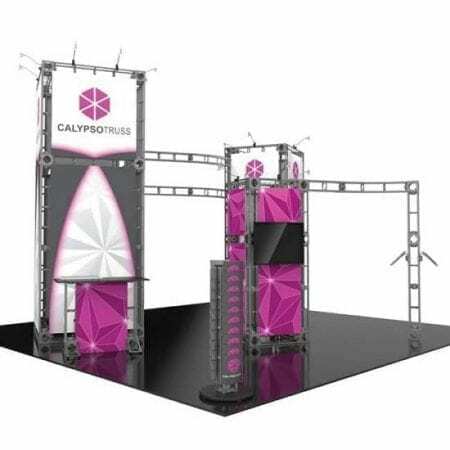 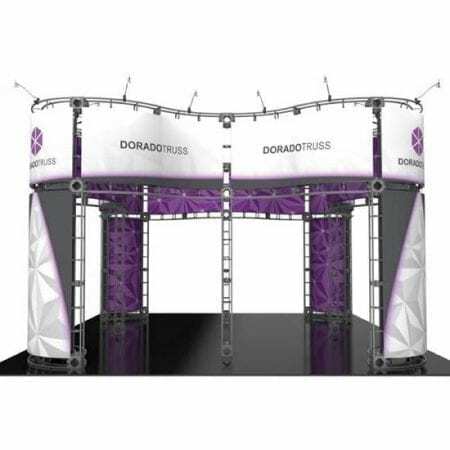 The bold, contemporary, industrial look of our Trade Show Booth Truss dominates the show floor. 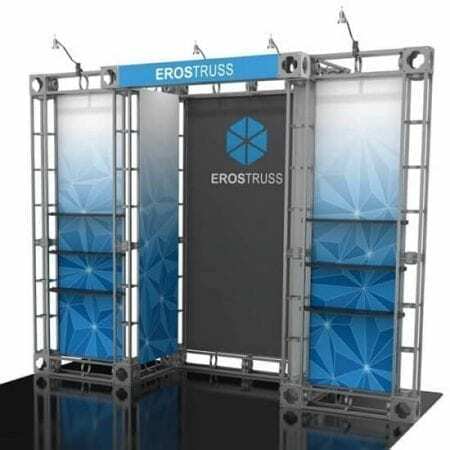 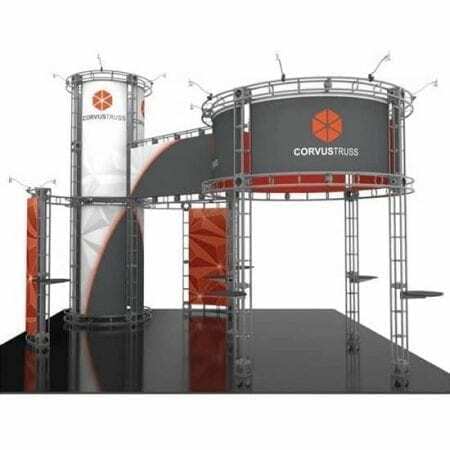 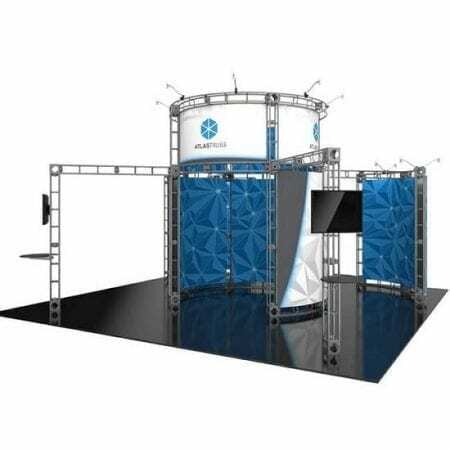 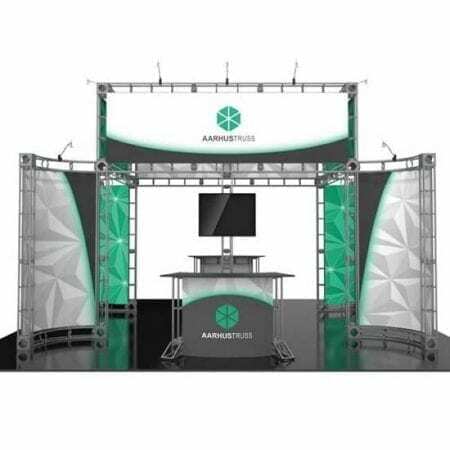 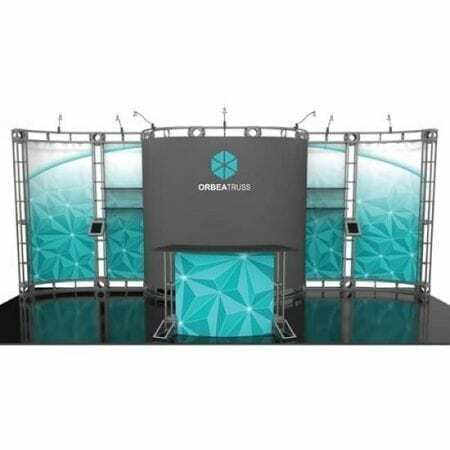 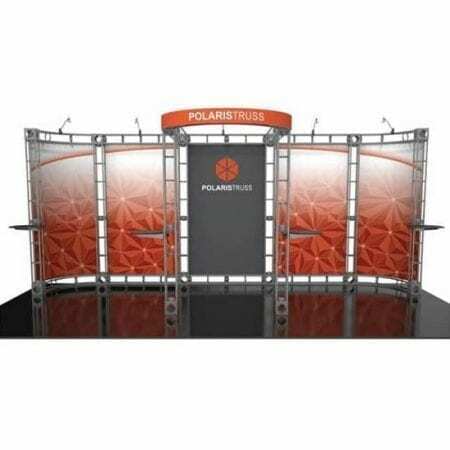 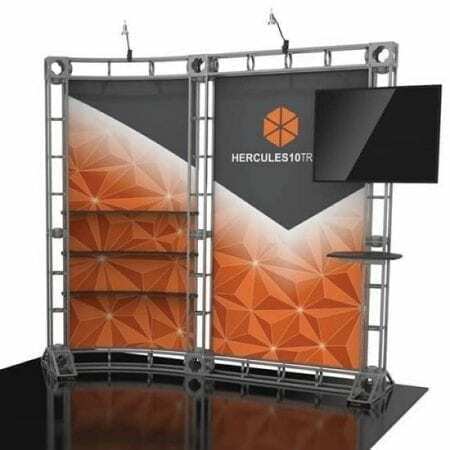 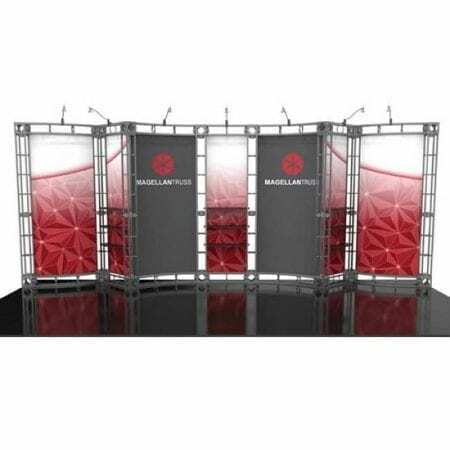 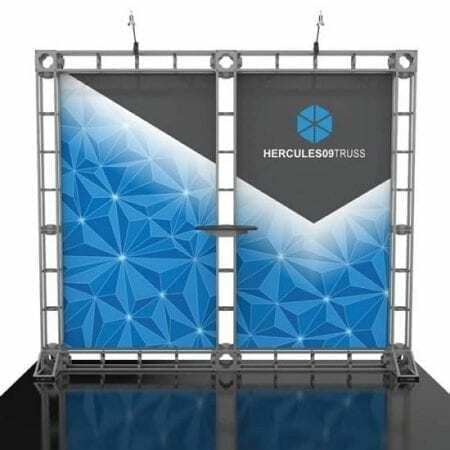 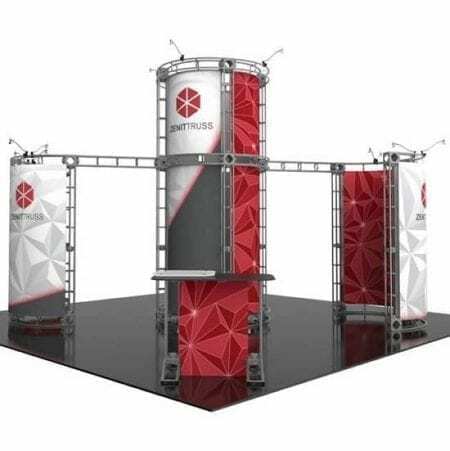 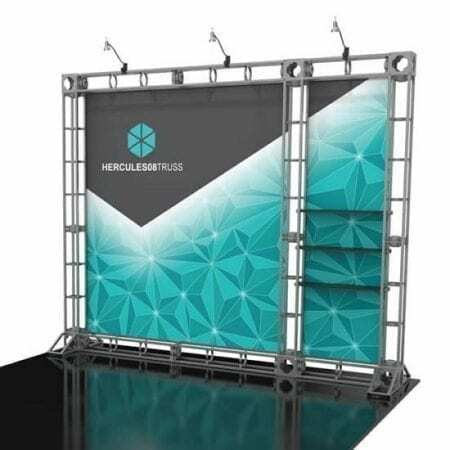 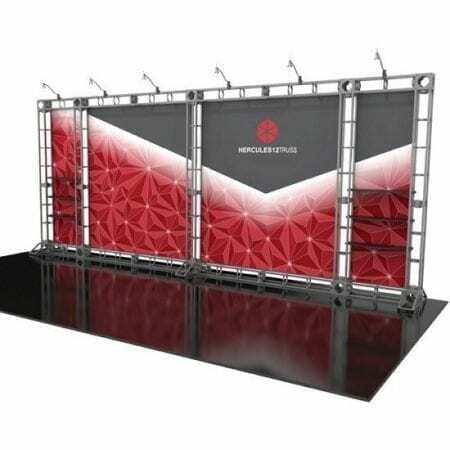 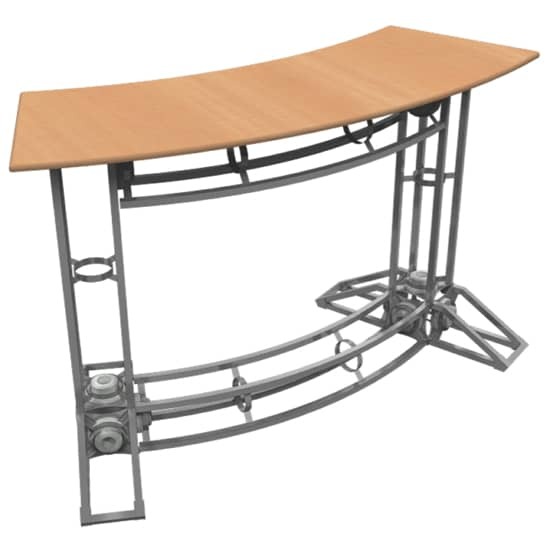 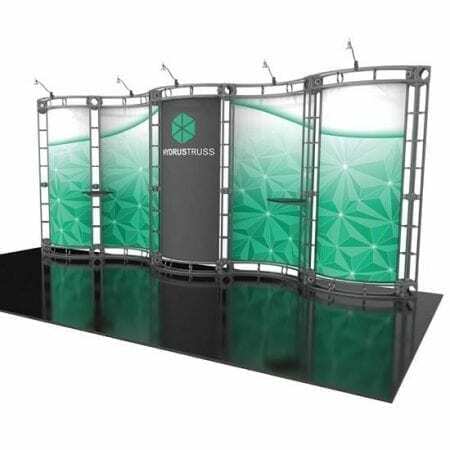 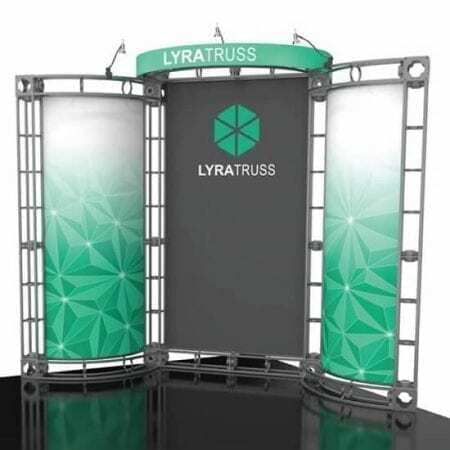 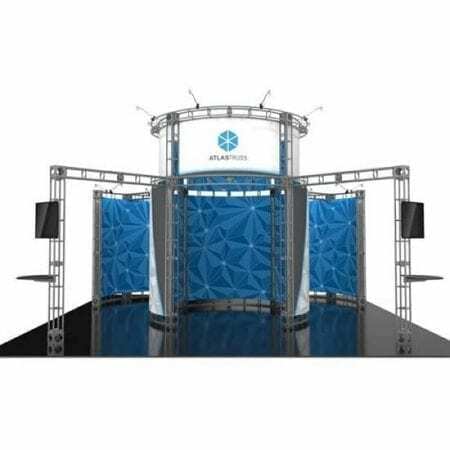 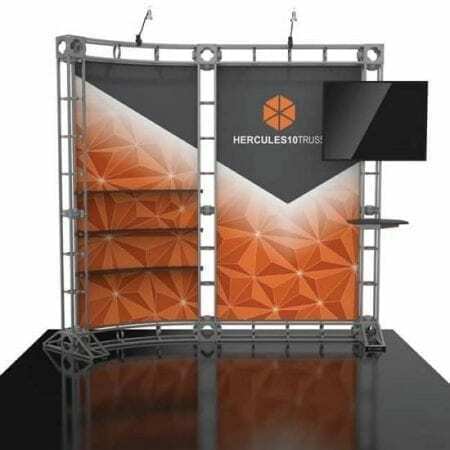 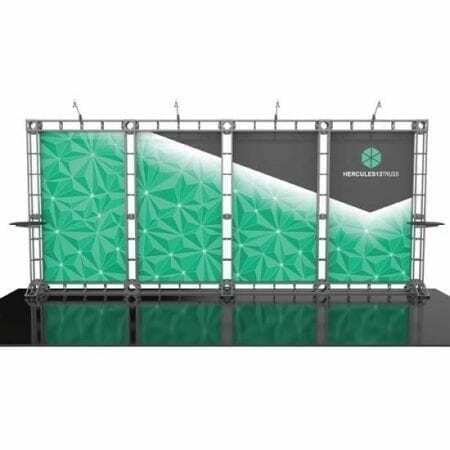 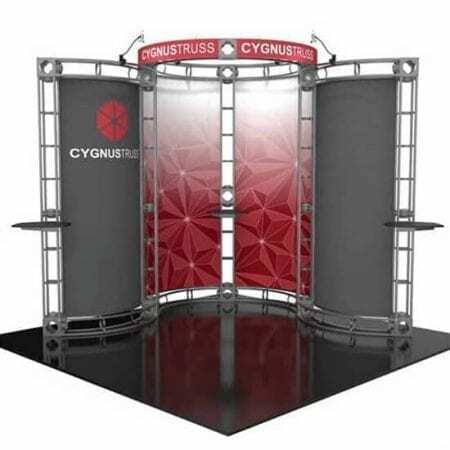 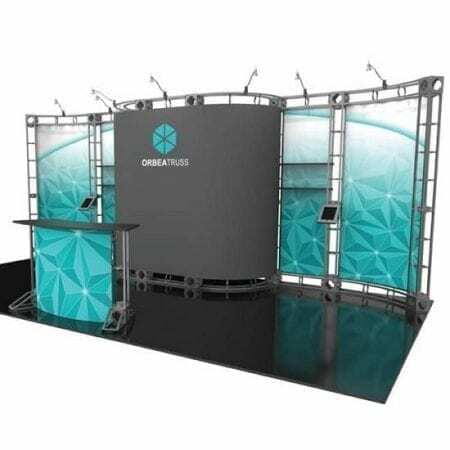 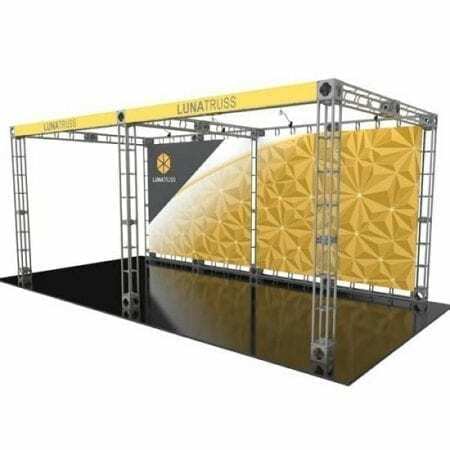 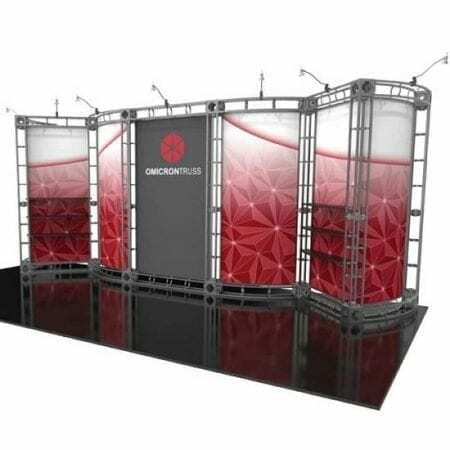 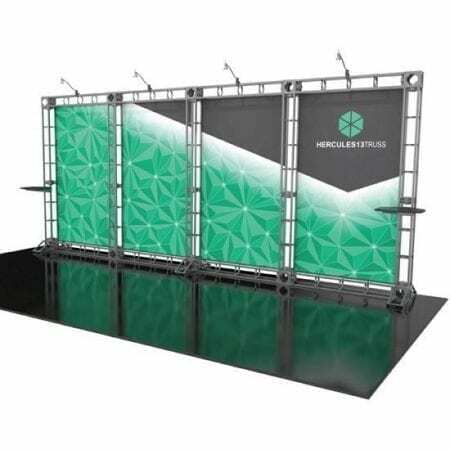 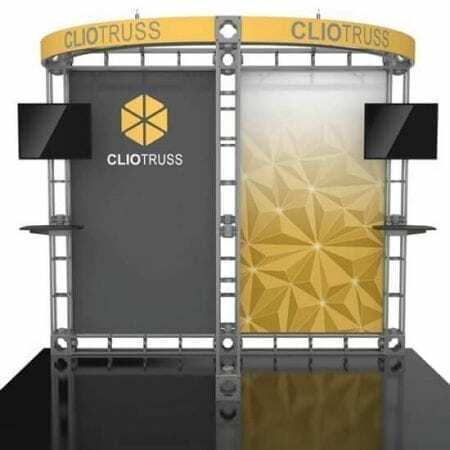 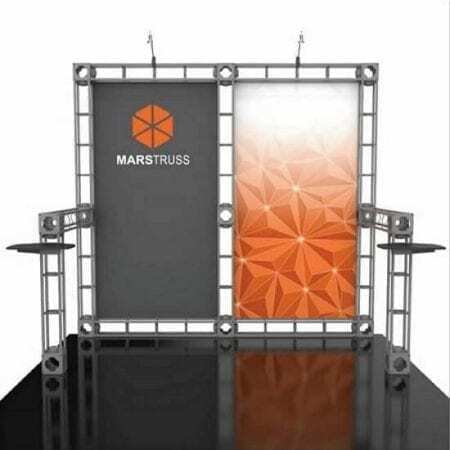 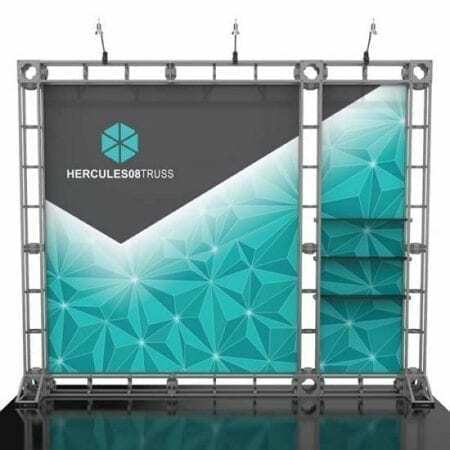 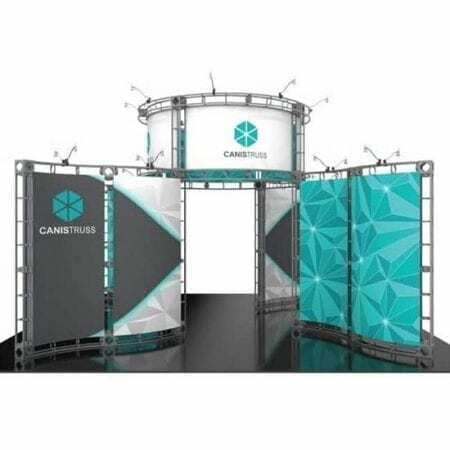 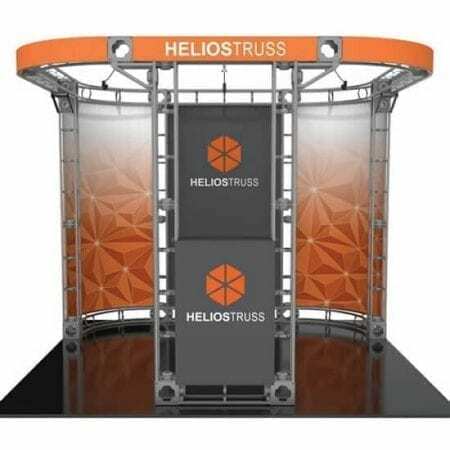 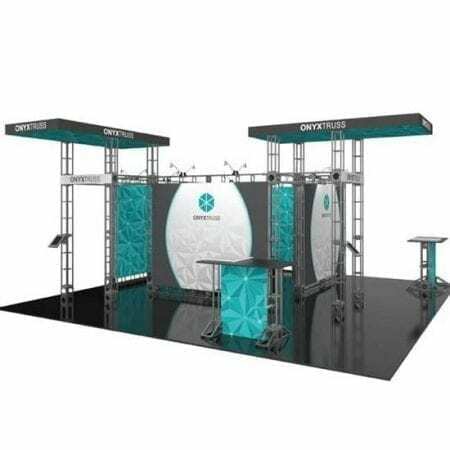 The Trade Show Booth Truss series is a collection of reconfigurable exhibit backwalls, islands and counters that feature a fixed number of parts and connectors. 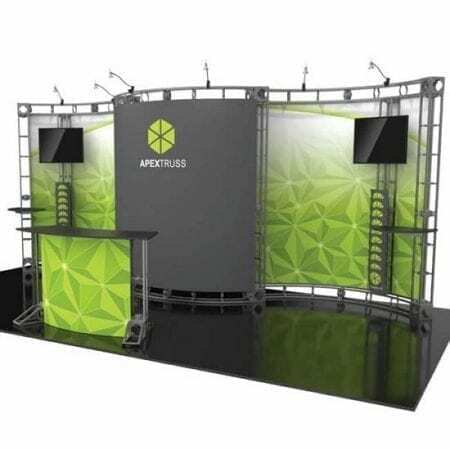 NO TOOLS are required for assembly; 20′ x 20′ and 10′ x 20′ inline kits transition into smaller size exhibits, counters and more. 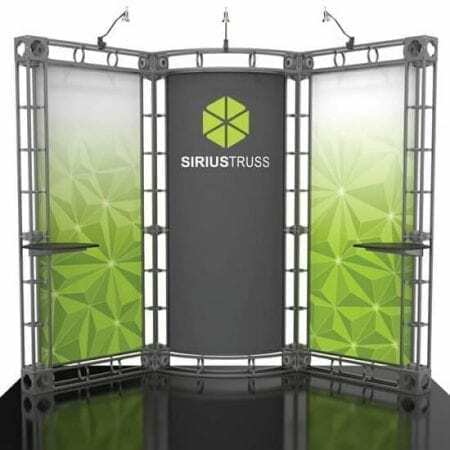 The versatility and value of the Trade Show Booth Truss system is unmatched! 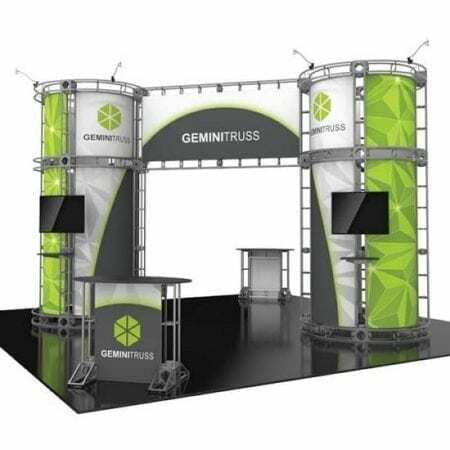 Set-up and installation of the Trade Show Booth Truss, backwalls and accessories is easy – simply twist & lock is all you have to do. 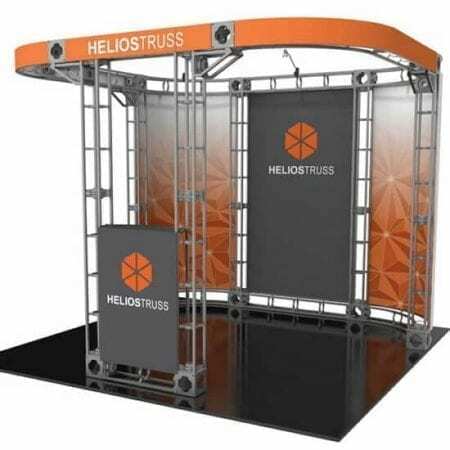 All Trade Show Booth Truss pieces are quality crafted and manufactured in the USA. 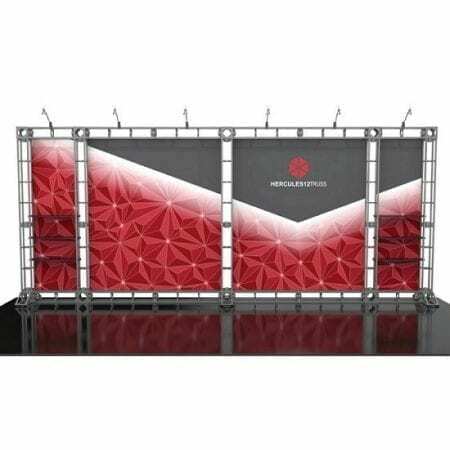 All fabric and UV-panel graphics are produced in the USA, printed on state-of-the-art, G7 color certified printers, and are finished by hand. 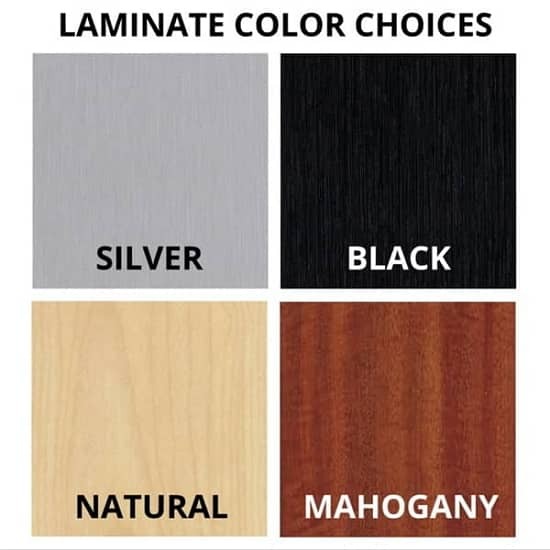 With endless designs and options to choose from, you are certain to find a solution that fits your needs. 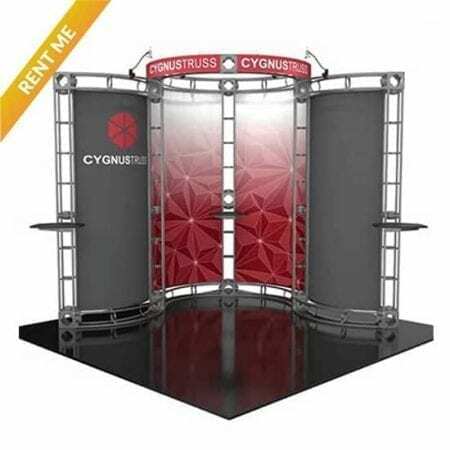 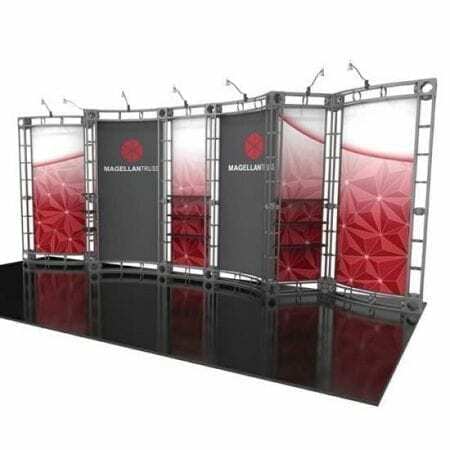 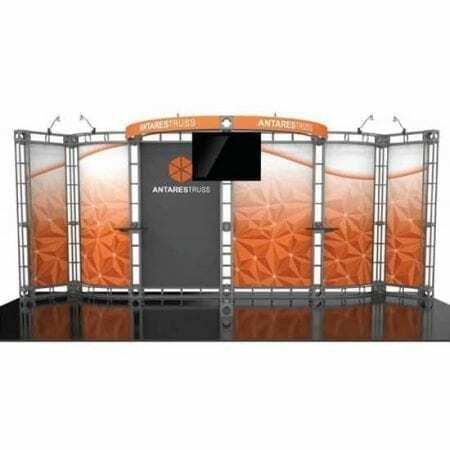 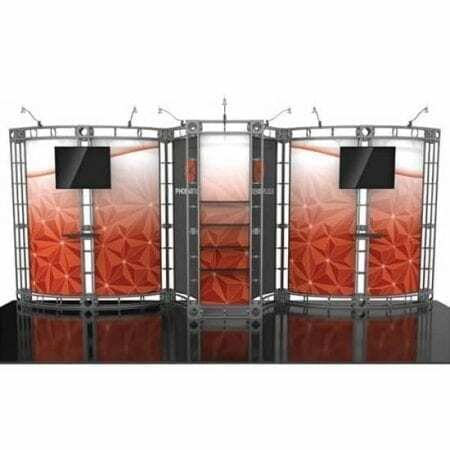 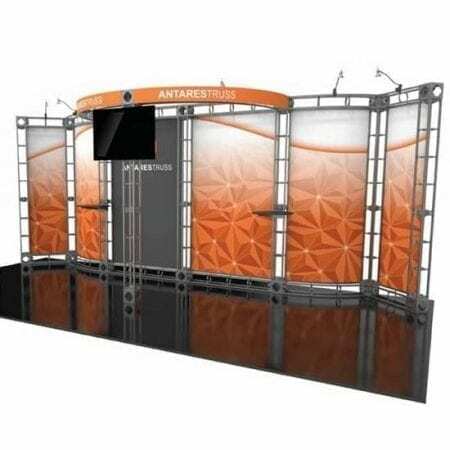 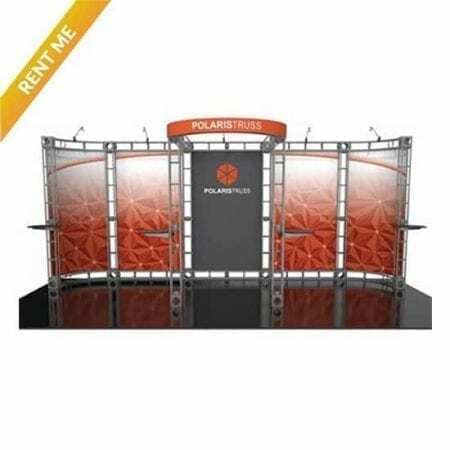 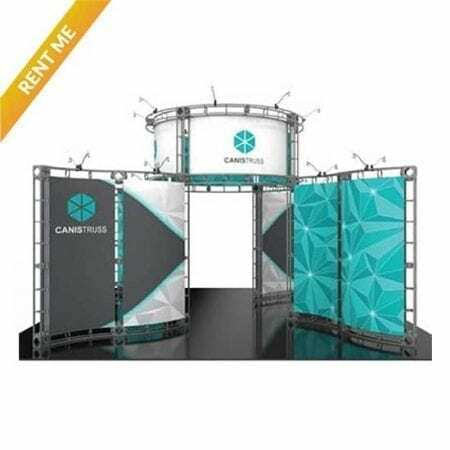 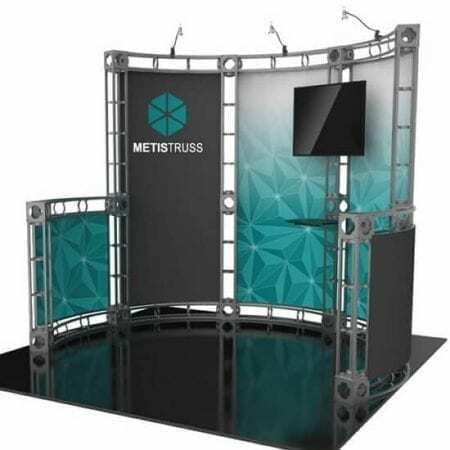 You can also easily customize your own Trade Show Booth Truss exhibit and make it completely unique. 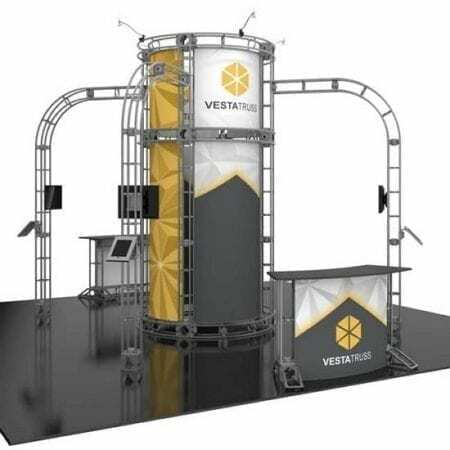 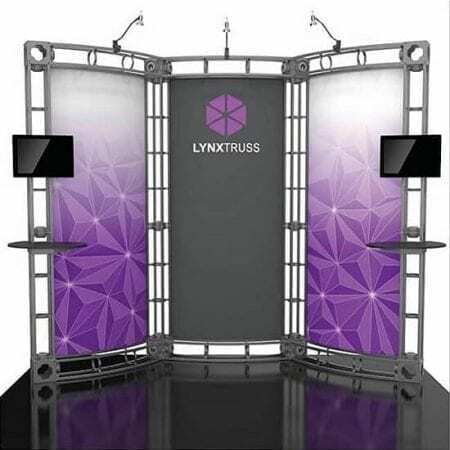 THE TRADE SHOW BOOTH TRUSS IS VERSATILE, RECONFIGURABLE & EASY! 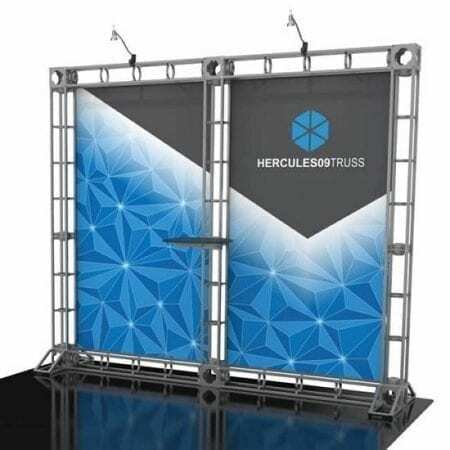 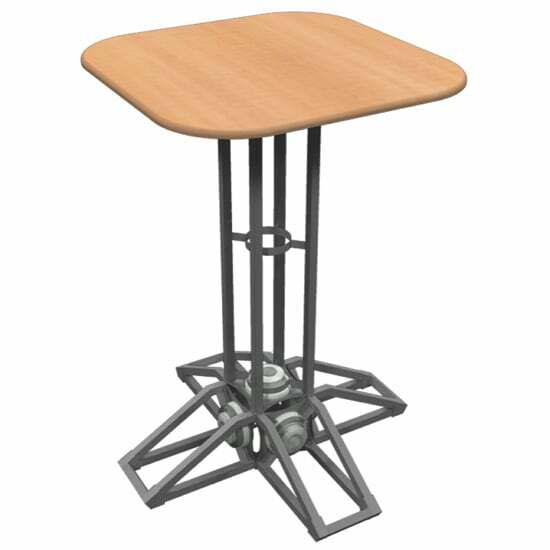 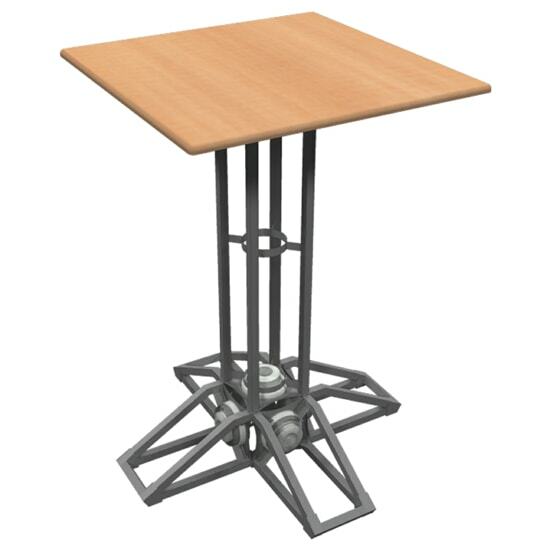 Truss counters and podiums feature several attractive designs to choose from, available with or without printed graphic options. 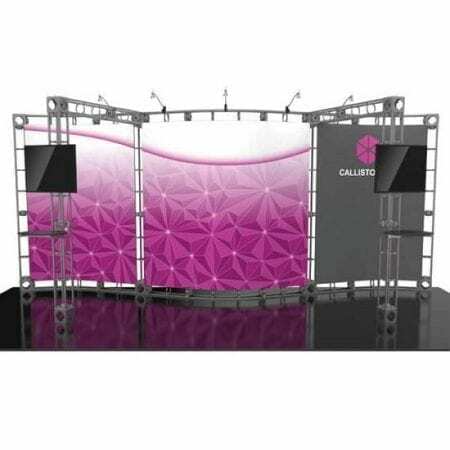 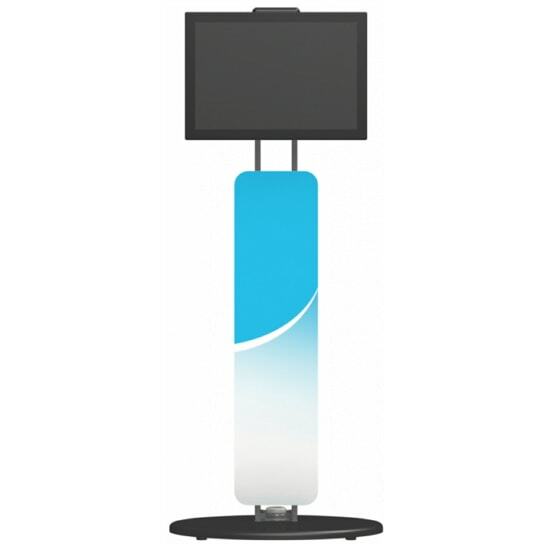 Accent any Orbital Truss Display inline or island, or use solo for a stand-alone display. 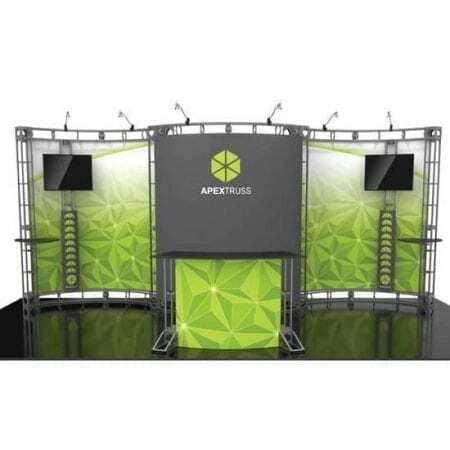 Counters and podiums couple sturdy truss pieces with laminated counter tops for a sleek appearance. 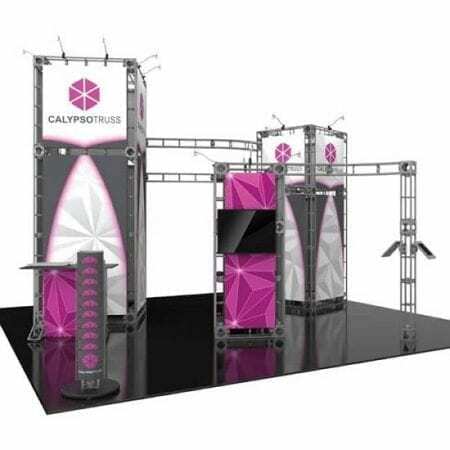 Coordinated truss counters make your display area more inviting. 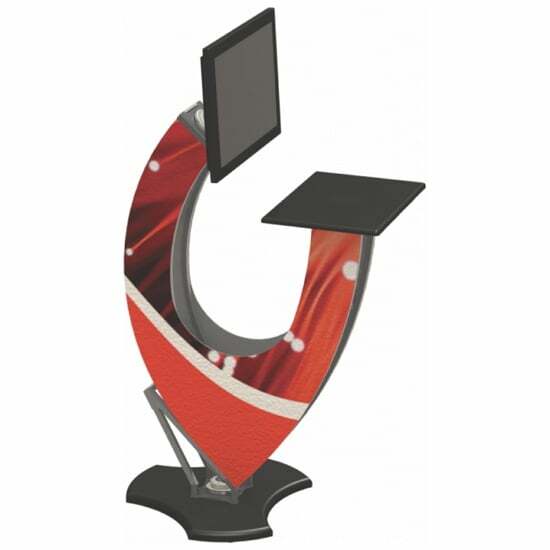 36.5″ high, choice of 4 finishes. 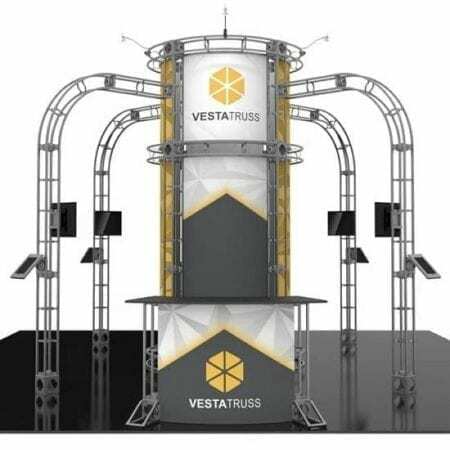 Truss counters and podiums feature several attractive designs to choose from, available with or without printed graphic options. 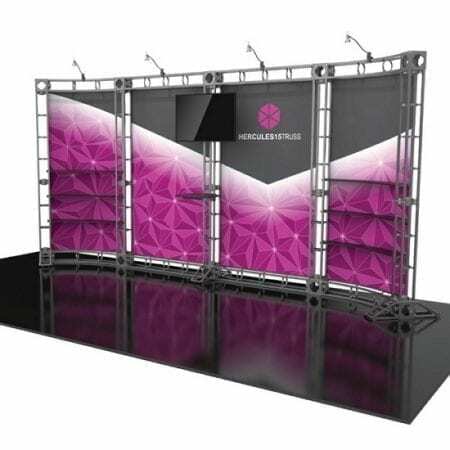 Accent any Orbital Truss Display inline or island, or use solo for a stand-alone display. 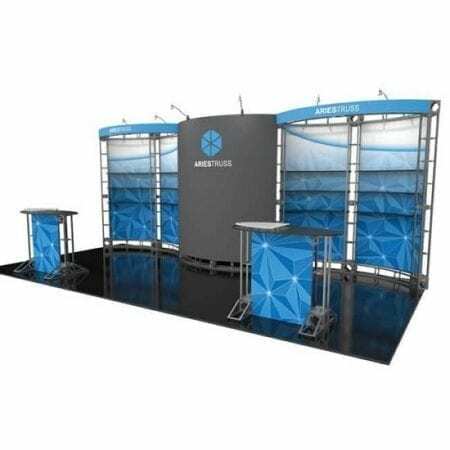 Counters and podiums couple sturdy truss pieces with laminated counter tops for a sleek appearance. 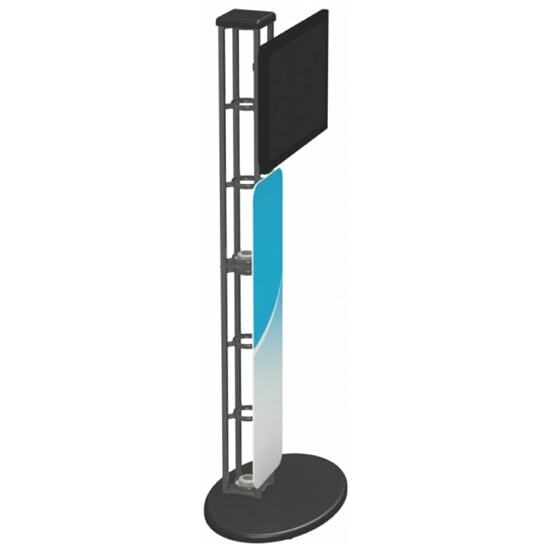 Available with or without an optional Plexiglass standoff. 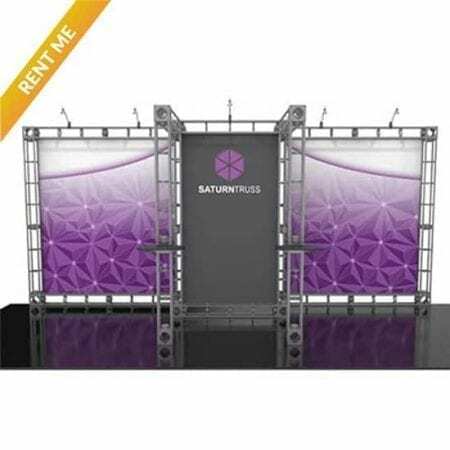 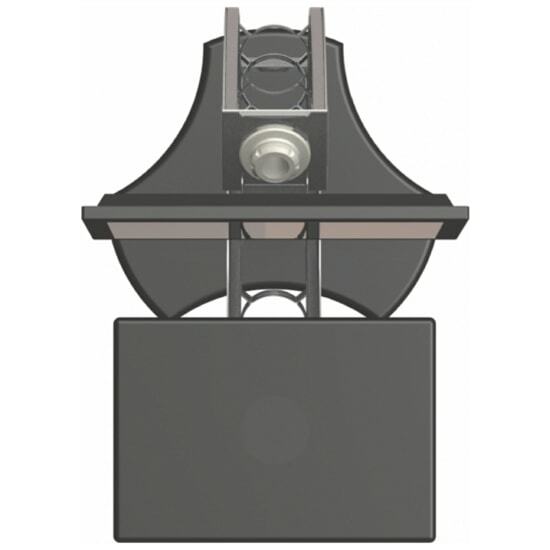 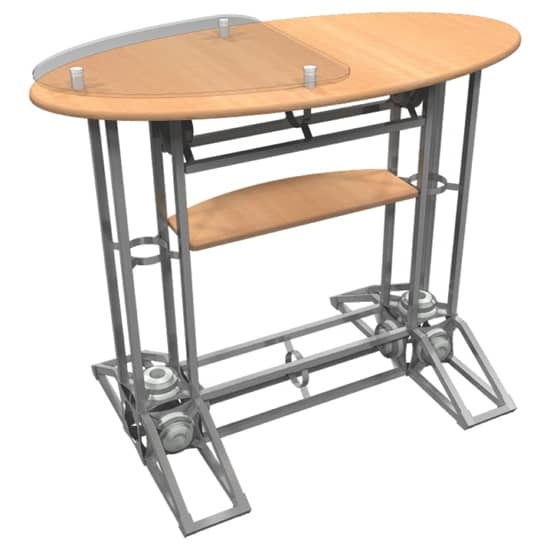 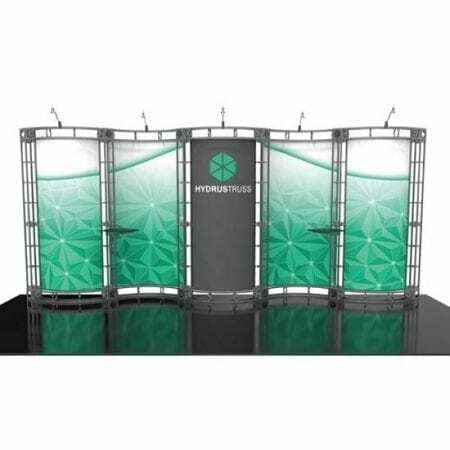 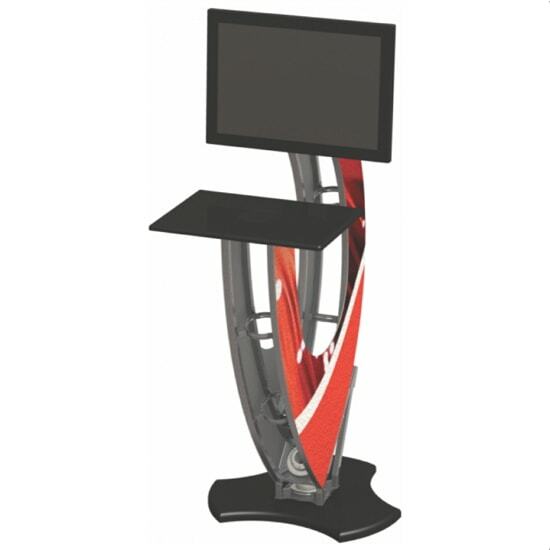 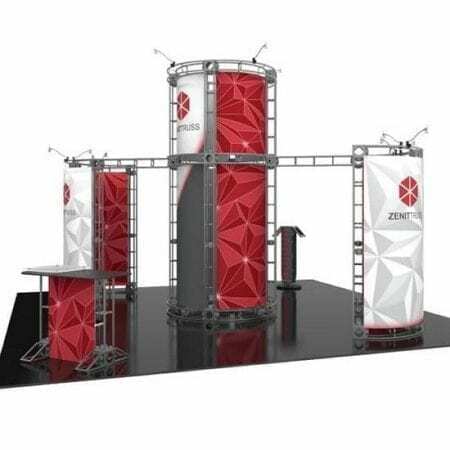 Easy-to-assemble podiums perfectly complement your truss display booth, choice of 4 finishes. 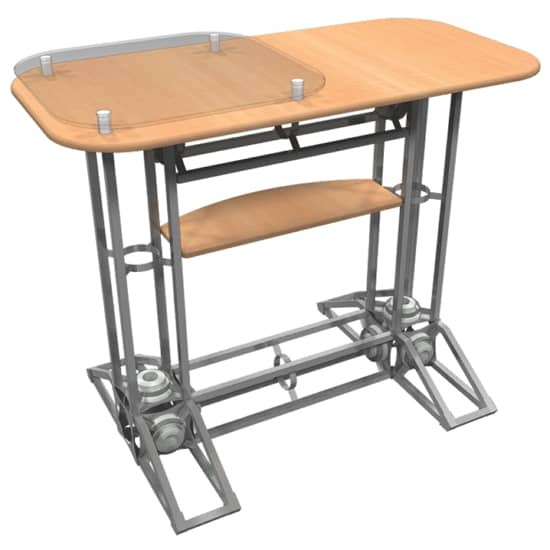 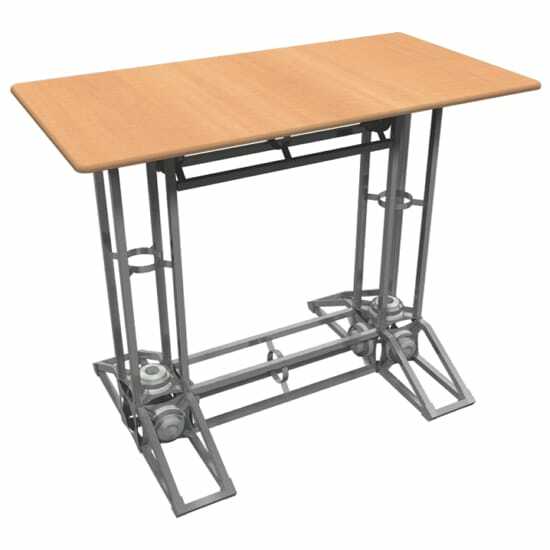 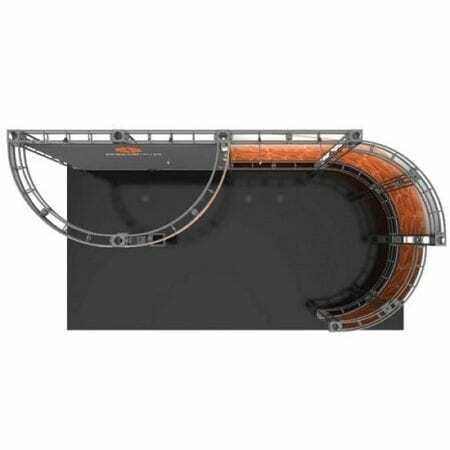 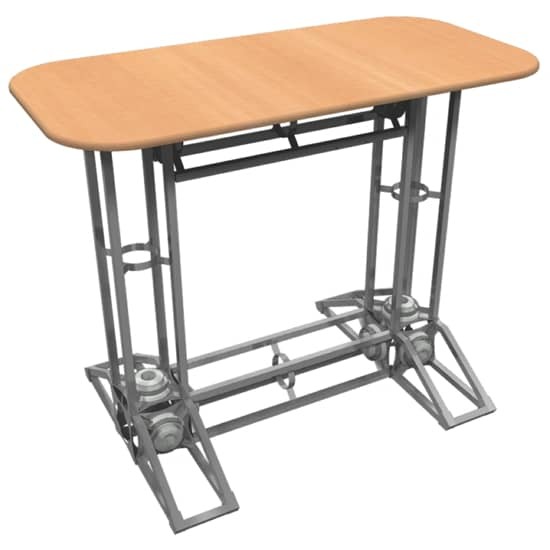 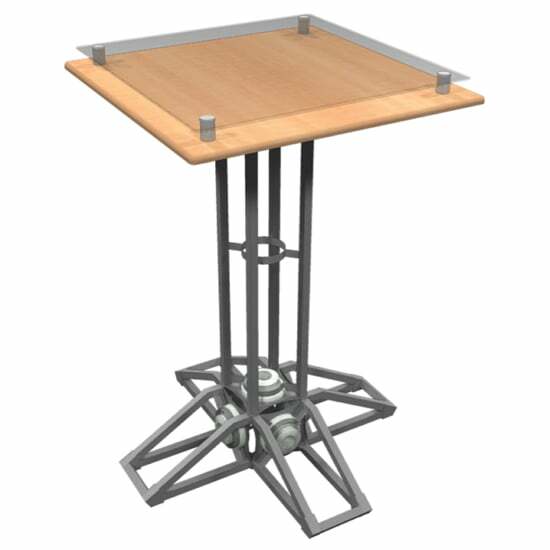 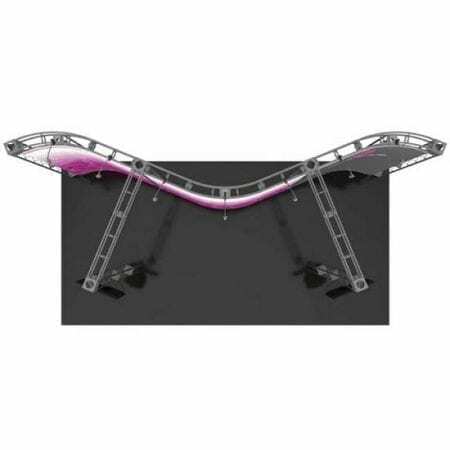 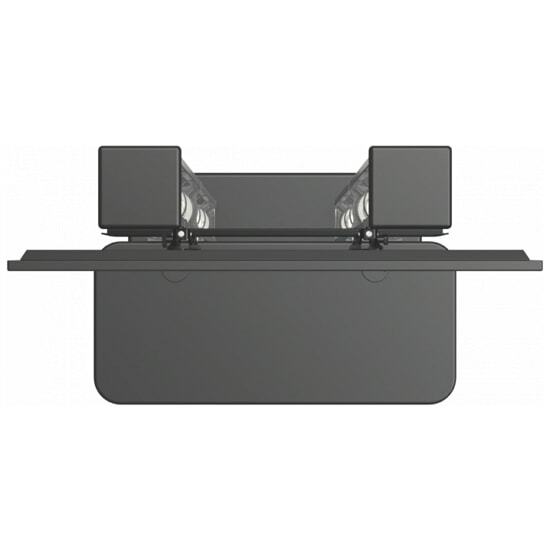 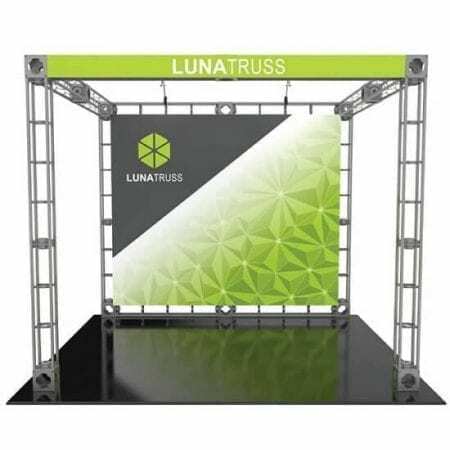 Truss Display Standard Tabletops are a simple addition to any Orbital Express Truss Display. 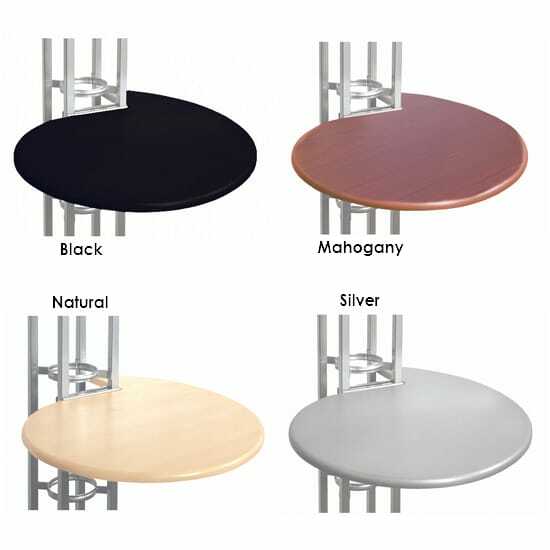 Standard Tabletops require no tools to attach, and are available in four thermoform color options. 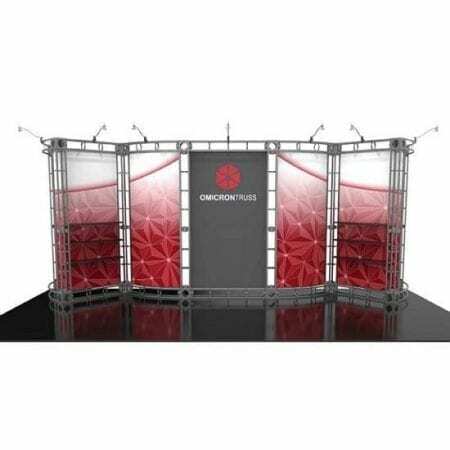 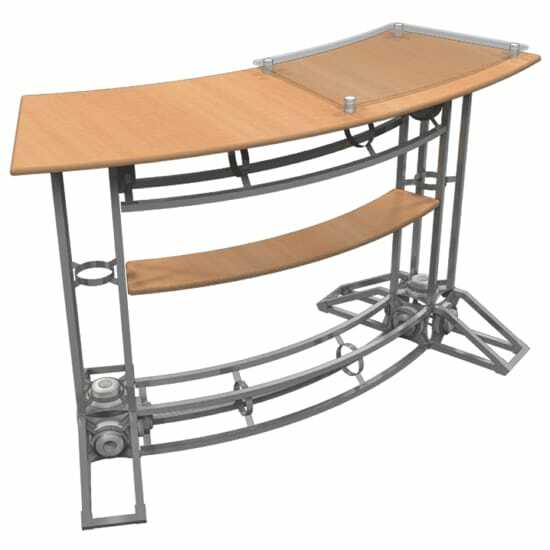 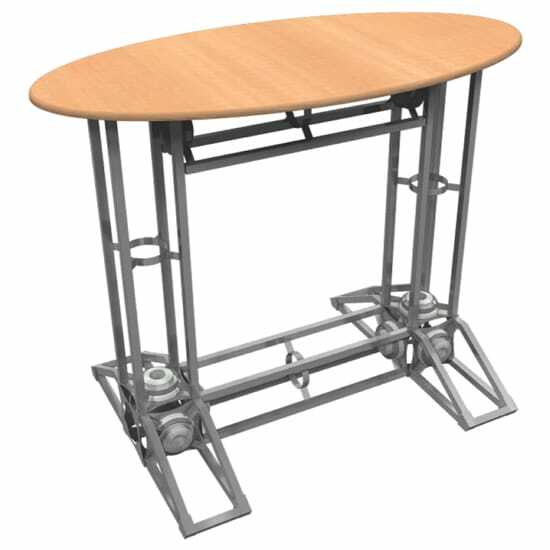 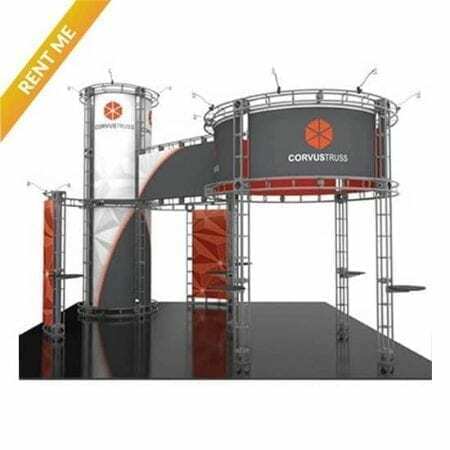 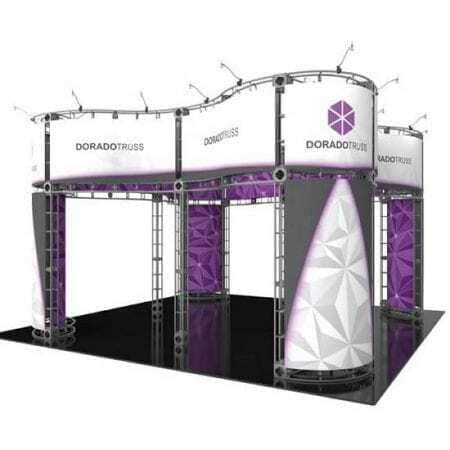 The rounded corner square shape accents Orbital Truss exhibits, and provides additional space for discussion and product display. 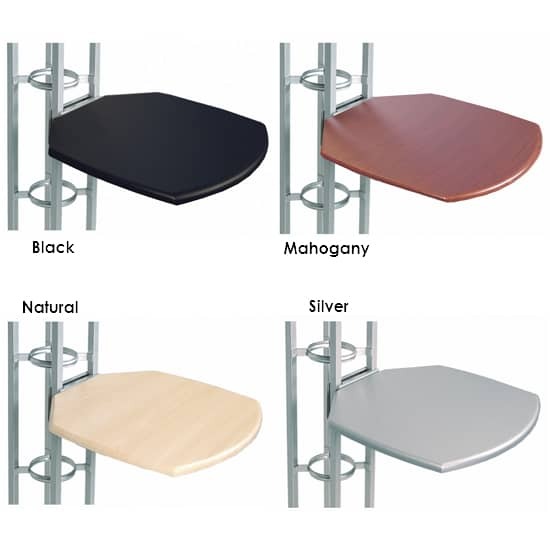 Or select our Deluxe Tabletops, teardrop shaped tabletop wraps around the edge of the truss length, and is available in left or right facing configurations, choice of 4 finishes. 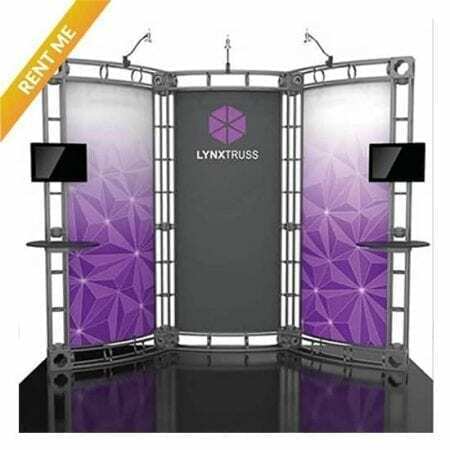 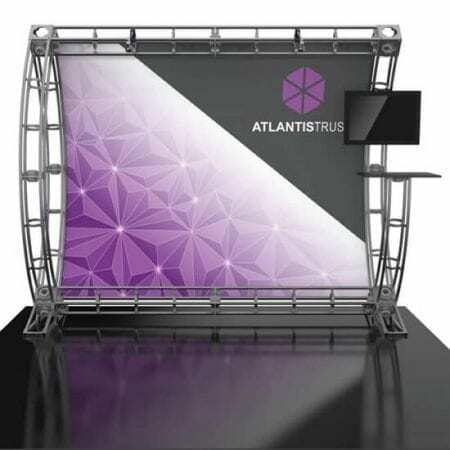 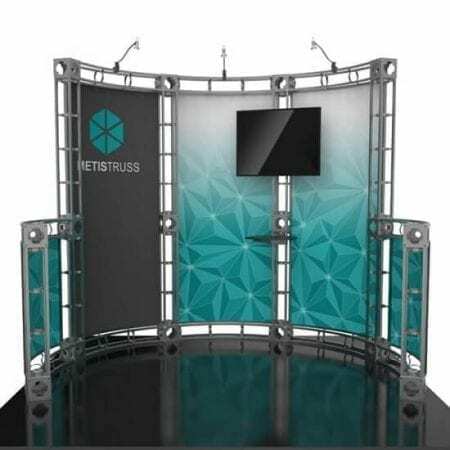 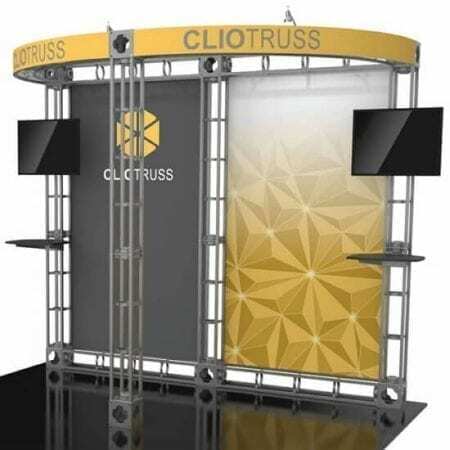 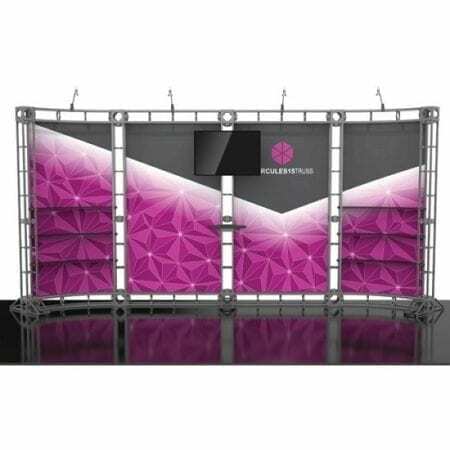 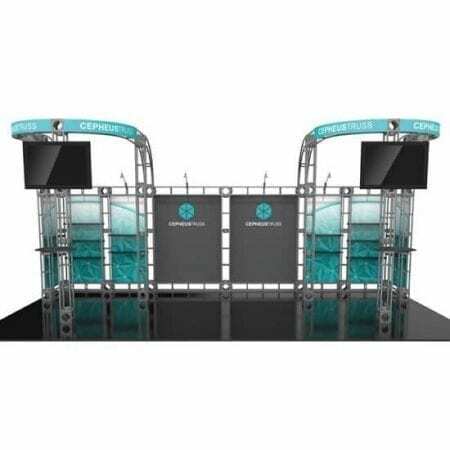 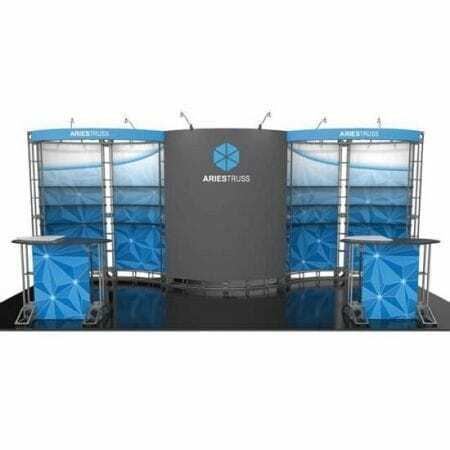 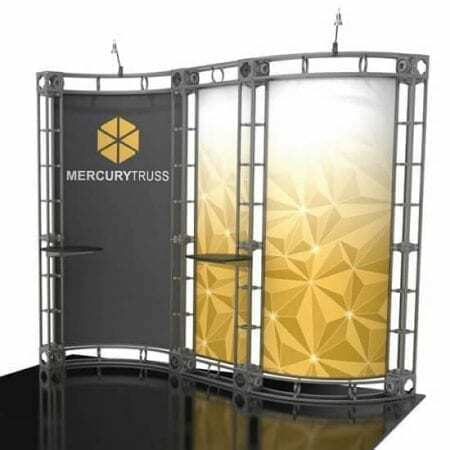 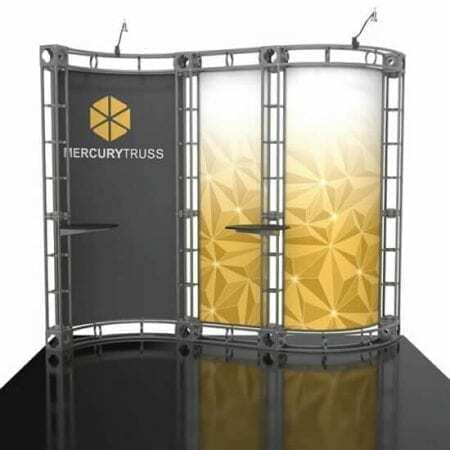 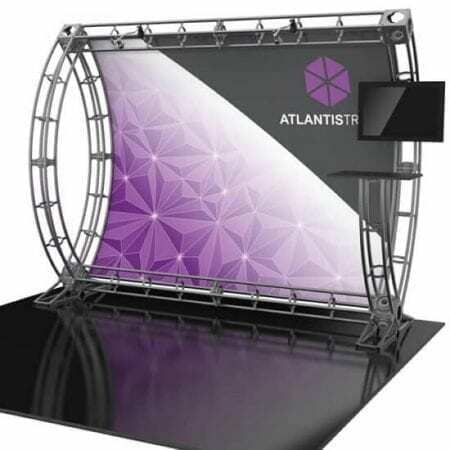 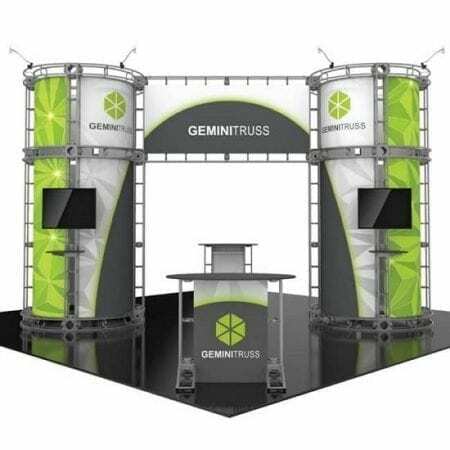 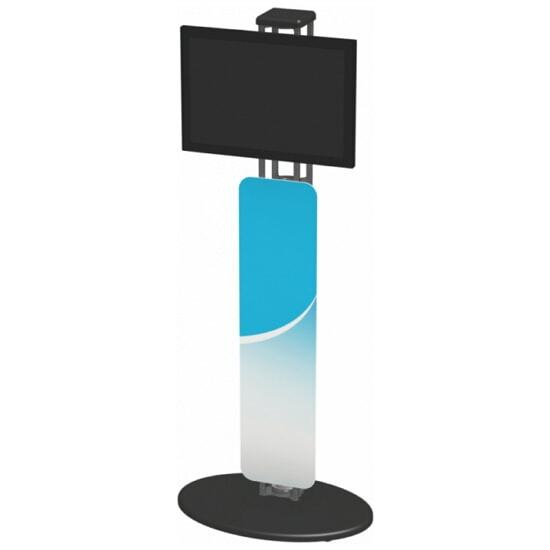 Truss Display Kiosks are the perfect way to display media at any tradeshow, event, and in retail or corporate spaces. 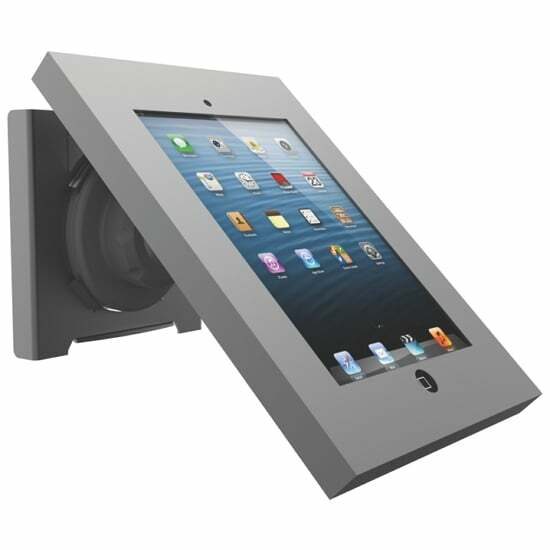 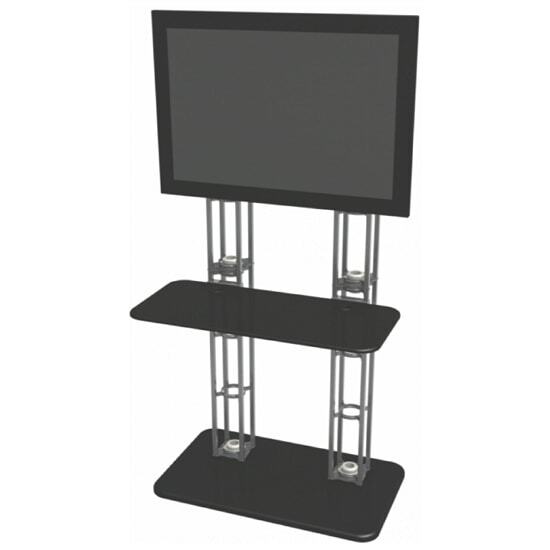 Kiosks feature a monitor mounts that can support up to a 70″ monitor. 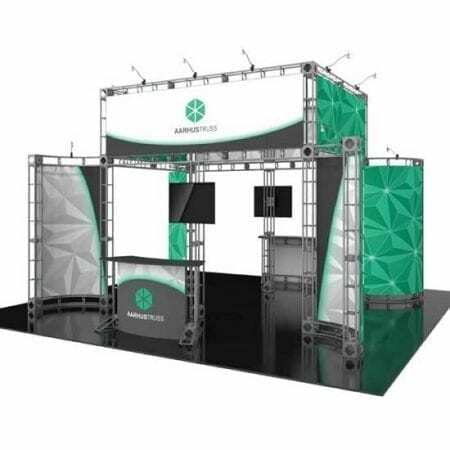 Assembly is simple, and the sturdy truss frame and/or thermoformed base complement the Orbital Truss Display line of 10ft, 20ft and 20ft x 20ft displays. 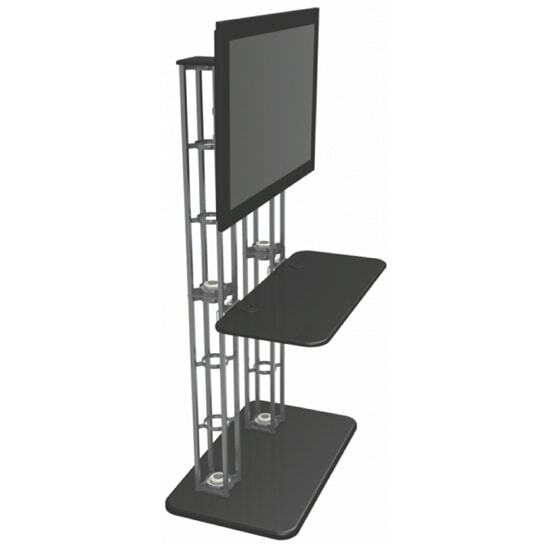 Monitor is not included. 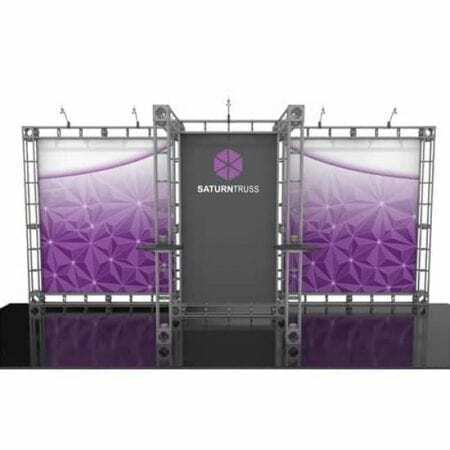 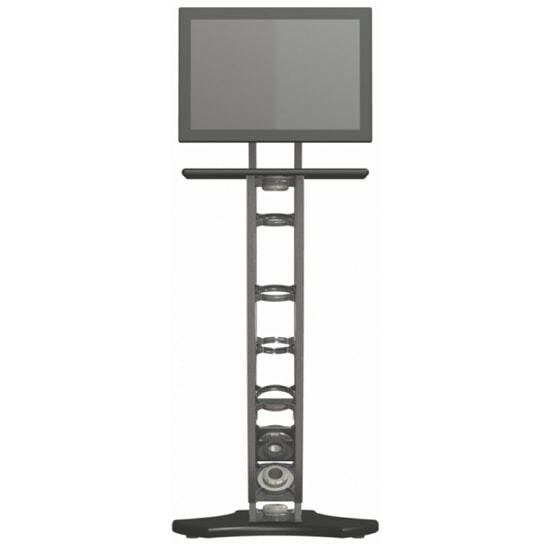 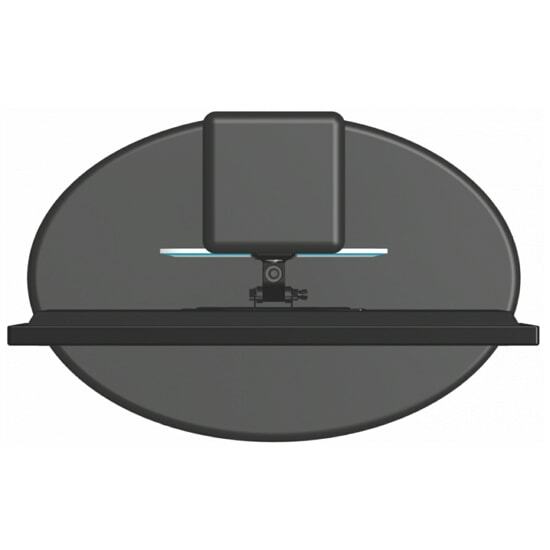 Integrate digital messaging and LCD monitors into Orbital Truss Displays. 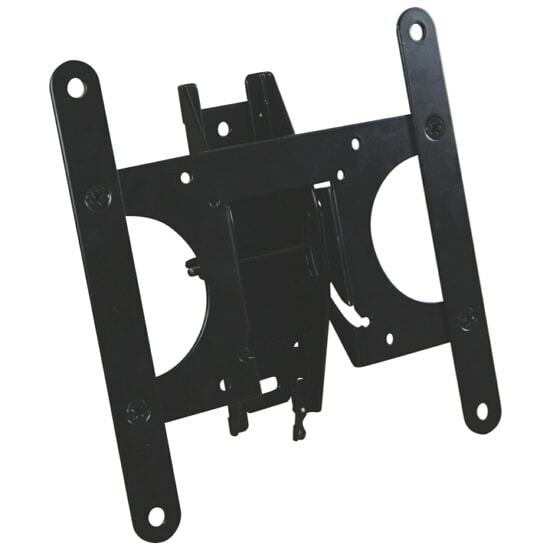 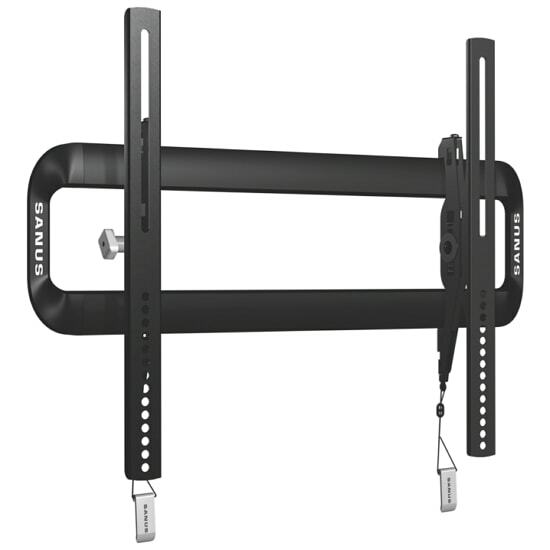 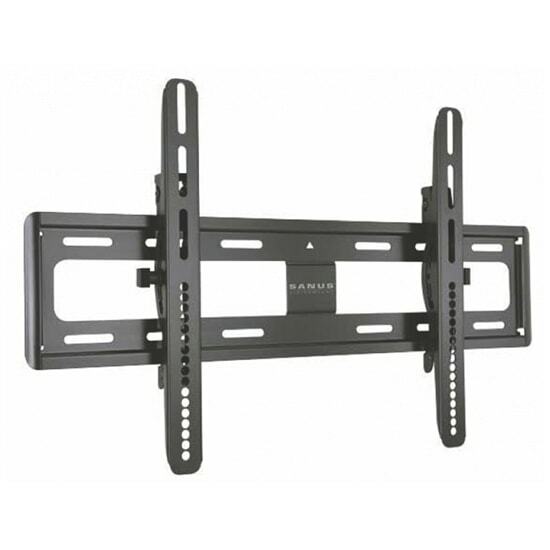 Choose from 3 mount sizes for a range of monitor sizes from 13-70″. 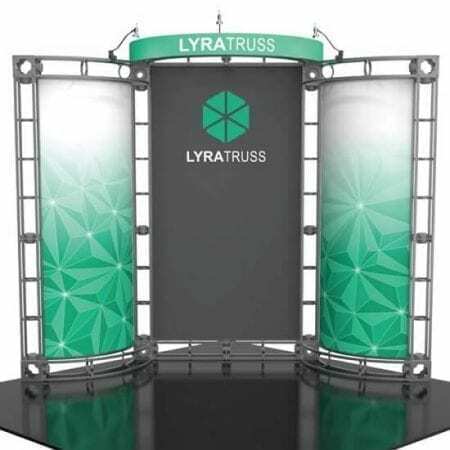 Easily add dynamic messaging! 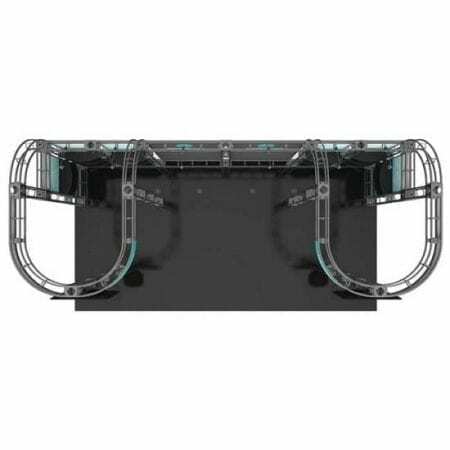 Monitor is not included. 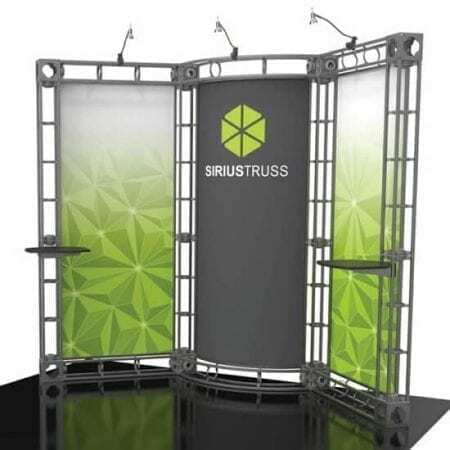 Truss Display Merchandising Racks add functionality and options to any Truss Display. 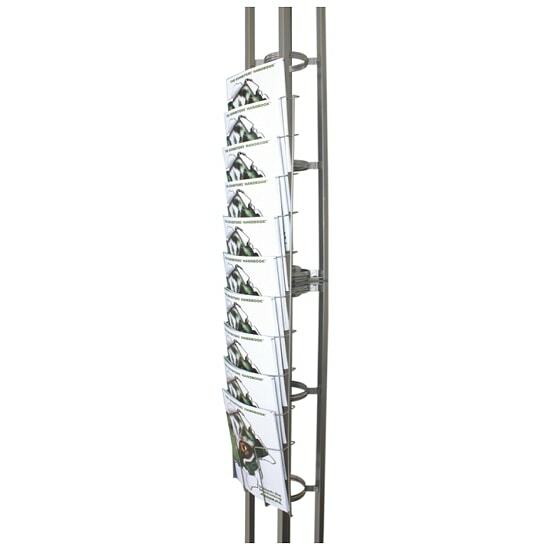 Choose from either the Hanging Rack, the Wire Rack or both. 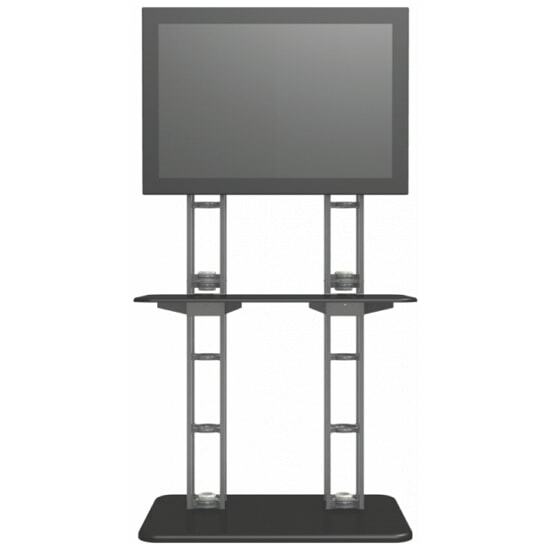 Accessory options offer multiple configurations and no tools are needed for assembly. 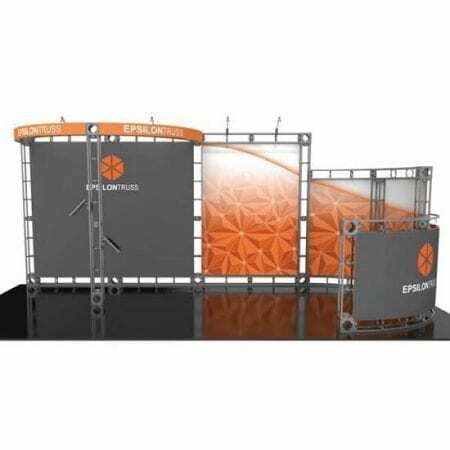 Accessory panels are an a la carte add on option for 10ft, 20ft and island Truss Display kits. 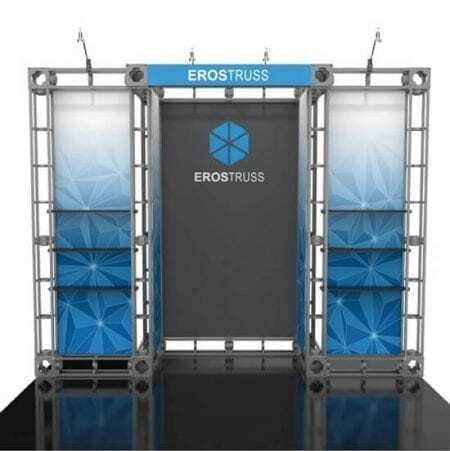 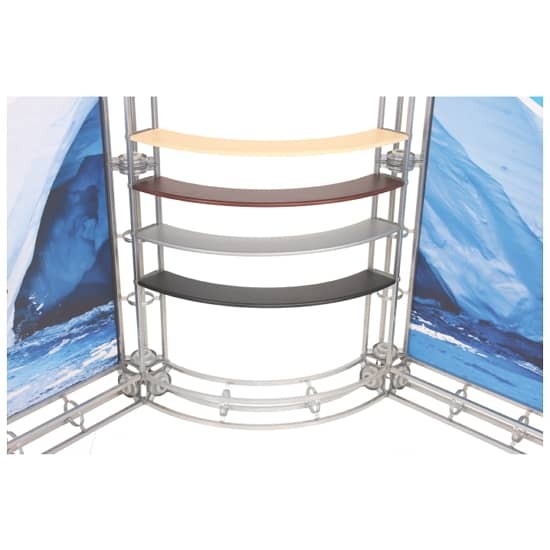 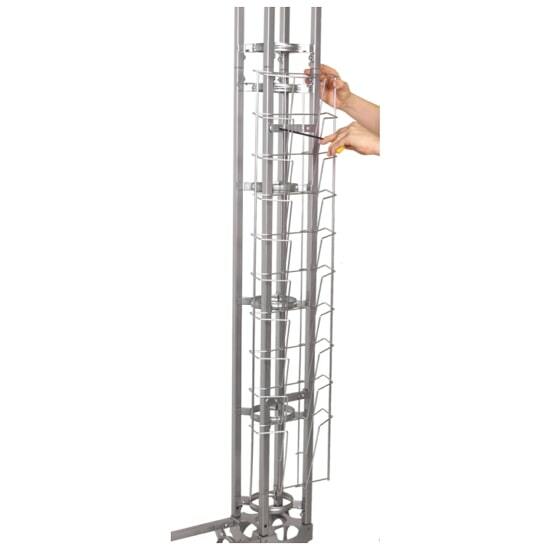 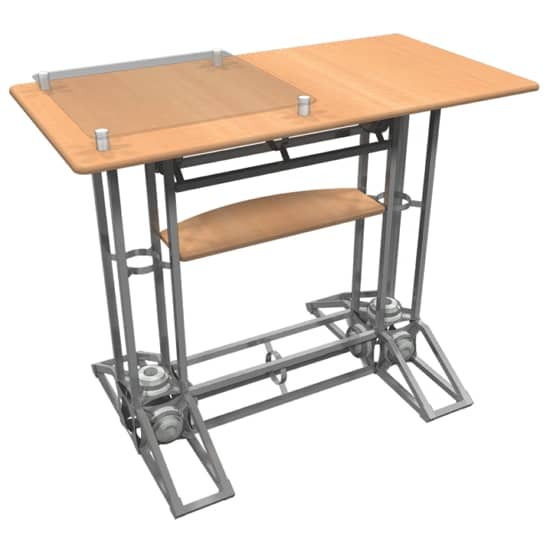 The Truss Display Literature Rack attaches easily to any Orbital Truss Display exhibit and provides room to display literature in 10 pockets. 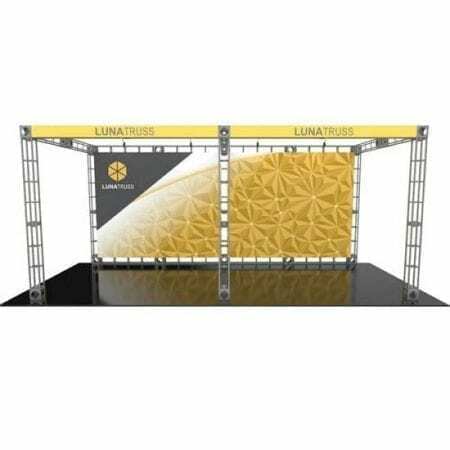 No tools are required to install, making it simple to add printed literature to any Truss exhibit. 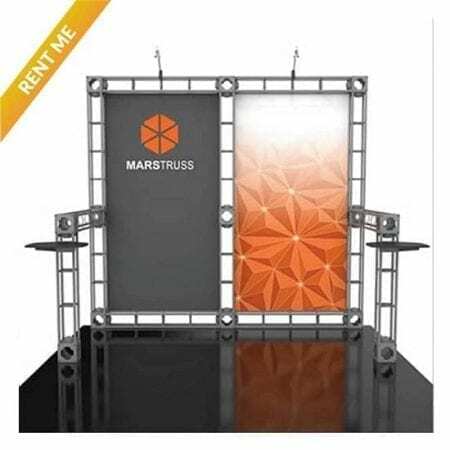 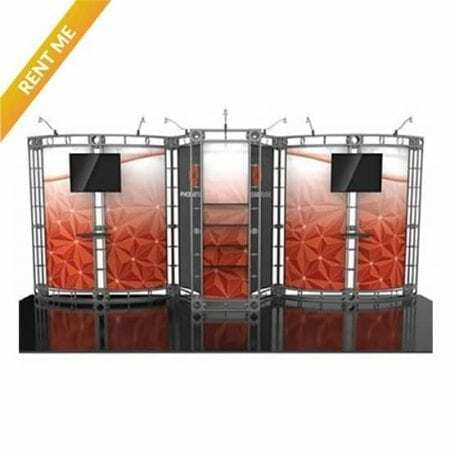 *Shelving included on select Orbital Truss Display Rental kits, additional shelves not available to rent, purchase only. 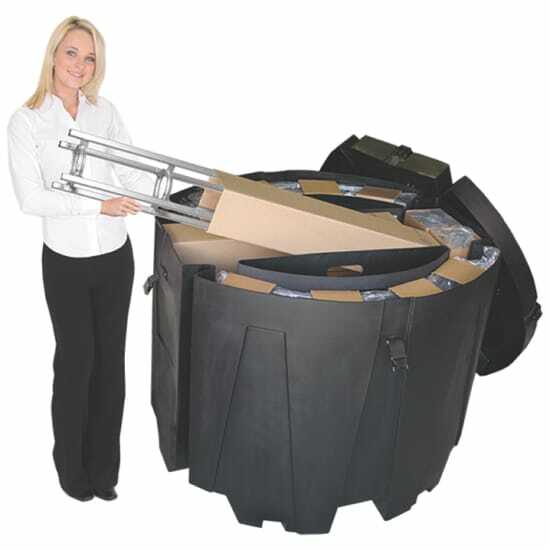 Approx Shipping Weight: 27 lbs. 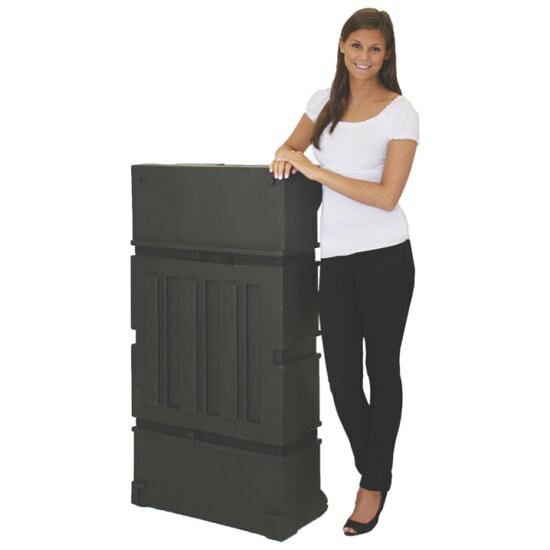 Approx Shipping Weight: 55 lbs. 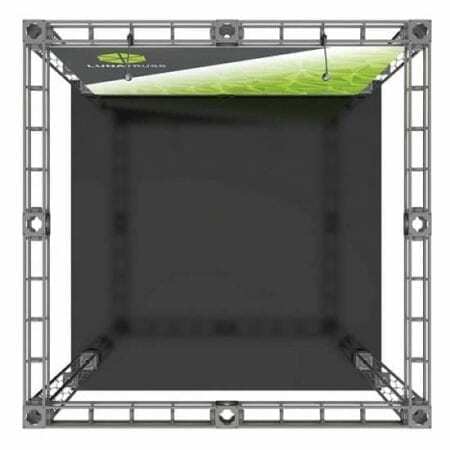 Approx Shipping Weight: 138 lbs.